Every Christmas my Grandparent’s would buy us a popcorn tin. We got it on Christmas Eve to munch on while watching holiday movies. It was always yummy, but I found myself disappointed when it was empty, gone for another year. With Gourmet Gift Baskets you can enjoy popcorn and other treats all your long! I was blessed to receive their Festive Favorites tin. 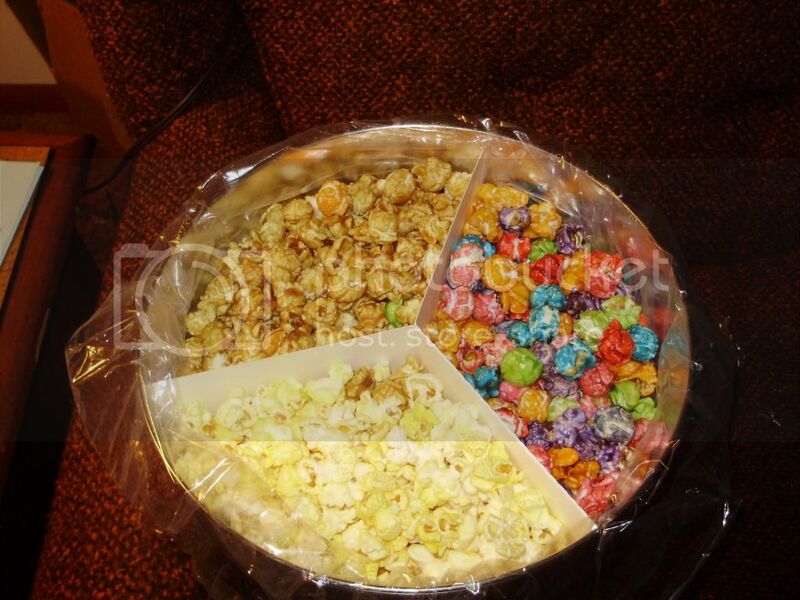 It contains Caramel, Butter, and Confetti Corn. My favorite was the butter. It is rich and delicious ,with just the right amount of salt. It easily tastes as good as what you get at the movies. Next, was the confetti corn. It tastes like kettle corn with a hint of fruit flavor. Each color is a different flavor!If your kids like fruit snacks I think they’d love this. The same flavor, with less sticky mess! Finally, the caramel corn. Usually when I think of popcorn I prefer salty snacks, but their popcorn has just the right balance. Its not overly sweet like caramel corn can sometimes be. Besides popcorn, Gourmet Gift Baskets also offers baked goods, chocolate treats, and much more. Looking for a Father’s Day Gift? Men can be SO hard to buy for. Instead of another t-shirt or tool why not get him something he’ll really enjoy? What guy doesn’t like food? 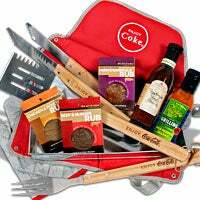 Gourmet Gift Baskets offers a wide variety of Father’s Day Gifts. Whether your guy is into Grilling, Fishing, Golfing, or just enjoying a good brew they’ve got your covered. Disclaimer: I received the following product in exchange for a review. No monetary compensation was received. Opinions are 100% my own. Next Post » The Seven Deadly Sins of Beauty Tag! The popcorn looks delicious! I would really like to try the confetti corn. Wow, makes me want to try some now! Very interesting looking popcorn! I would love to try the confetti corn. It’s different!